Here are add-on levels for Heretic that you can download. The tyrant lord of Zogar-Krul demanded that his subjects entomb him in the depths of the earth with a cohort of his greatest warriors. Dormant for centuries, earthquakes and volcanism have now cracked open the sealed tomb and enlivened its unholy occupants. Clean them out. 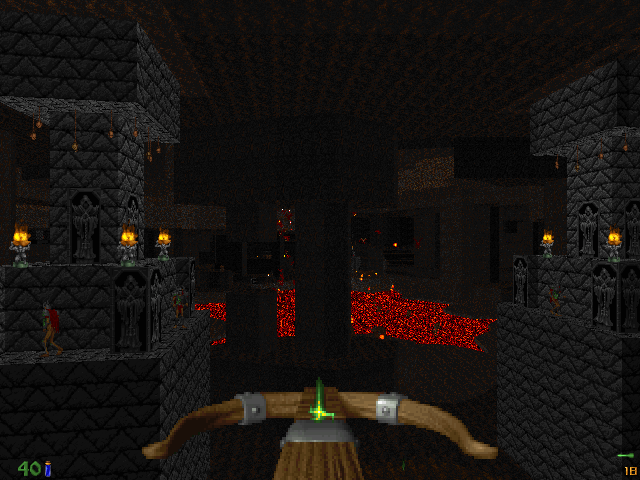 A Heretic level designed for vanilla/chocolate with some brand new textures. Try easy mode for a more casual adventure or hard if you like it hectic. 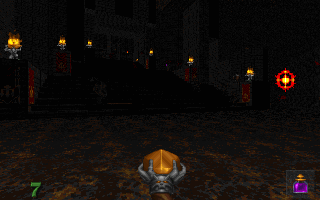 A Heretic level designed for vanilla/chocolate with some rather large areas. Expect some chaos to break out on hard mode. There are also plenty of secrets to find. Watched by towering monuments to the greatest of D'Sparil's disciples, the Valley of Saints is full of certain death to any heretic that dare enter. Never the less, it is your quest to reach the chapel at the summit of the cliff and destroy the evil within. Following an ancient cavern passage, you ready your wand and prepare to enter the valley. This WAD is tested to be fully vanilla compatible. When designing the layout, my guiding principle was that it should be possible to go through the level with multiple variant routes. 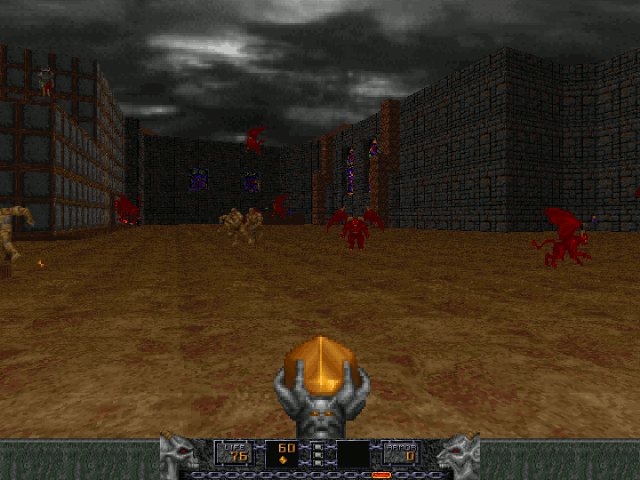 A quick Heretic level in a similar vein to the originals, built and tested for the DOS .EXE. 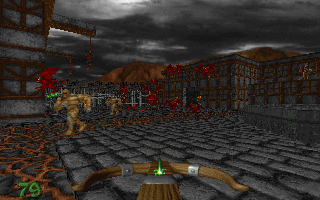 The map takes place in and around a chapel inhabited by an evil cult and resembles the City of the Damned levels visually. A more hasty, amateur sort of map; though it has its moments I suppose, I recommend you try my newer work instead unless you enjoy the idea of what is for the most part a big mosh pit of over 600 monsters. This is an early E2 style level, thematically, but is much harder and more chaotic. The map was made for the HeXentic birthday speedmapping event, and as such was made in a limit of 10 days. Hence it may be rough around the edges. You might have to gauntlet some of the weaker enemies to get a full clear score. 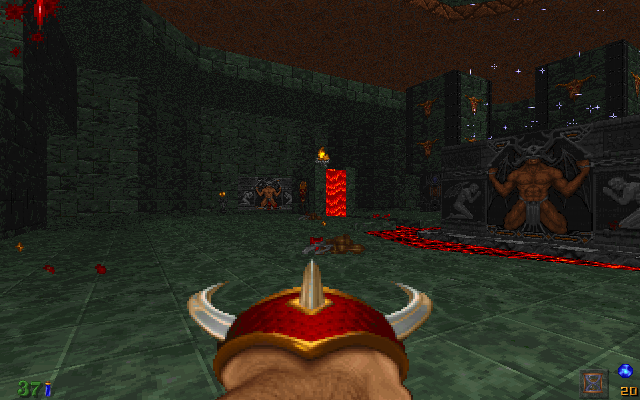 This map does require ZDoom, but is still more of an oldschool/slaughter style than ZDoomish. Group level packs that I have participated in. A community project arranged by SOSU, with map contributions by various level designers. I built E1M6 "The Black Heart" which is a town & cathedral style level. Maps in this set should be (mostly) vanilla compatible. 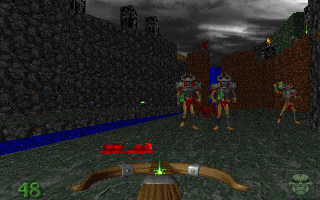 A speedmapping session arranged by Jaws In Space, with contributions by Walter Confetti and Jthom. I designed E1M4, "Dark Spirits Gulch". The session theme was "A canyon village". 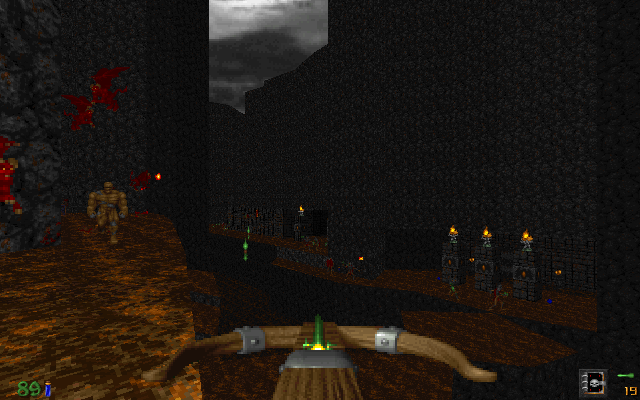 A community project arranged by HexenMapper, with map contributions by many level designers. 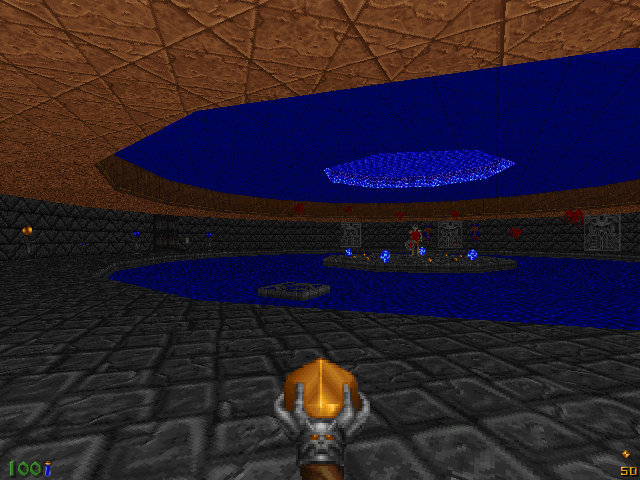 I built E2M5 "Chaos in Bloom" for the pack, which is a D'Sparil-dome style level. Some of the maps in this set are vanilla/limit removing but the set overall is meant to be played via ZDoom.